I've raised my estimate of a U.S. debt default from a 0% unthinkable chance to an even 50/50. We're a week into a government shutdown with no compromise in sight. Nearly every pundit has the debt default scenario pegged at 0% (including me, up until last night.) This brings to mind all the elements of a black swan event. 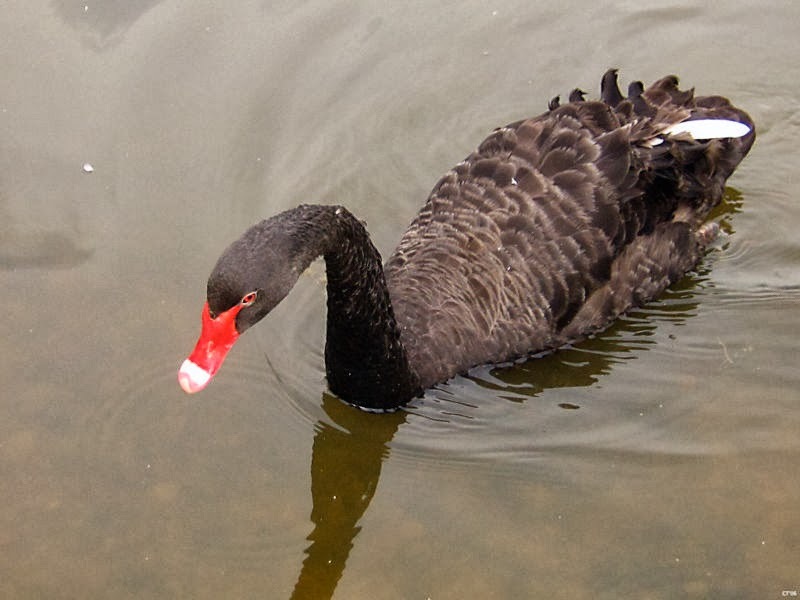 Popularized by the philosopher/poet/economist/trader Nassim Nicholas Taleb in his 2001 book Fooled by Randomness, a black swan event "is an outlier, as it lies outside the realm of regular expectations, because nothing in the past can convincingly point to its possibility. Second, it carries an extreme 'impact.' Third, in spite of its outlier status, human nature makes us concoct explanations of its occurrence after the fact, making it explainable and predictable." These elements seem to correlate well with where we're at right now in regards to the debt ceiling. With nearly every expert predicting a 0% chance of a default happening and a political system that is behaving ineffectual at best, the days tick by and nothing is accomplished. What has materialized is the slow motion proverbial train wreck you can't take your eyes off of, but this potential disaster has a significantly wider zone of destruction. I think the two most meaningful impacts are going to be a major hit to the reputation of the United States and the second is a direct hit to investment portfolios because Wall Street cannot stand uncertainty; the latter I think will recover promptly as the catalysts of a bull market are still firmly in place and I would like to believe our elected officials wouldn't ruin the republic. The reputation hit is another thing though, as it builds on what has become an increasingly stalemated government system.